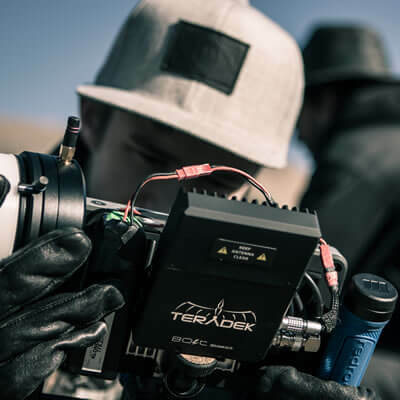 Using a wireless video system on a film set is rapidly becoming the norm, especially as the technology becomes increasingly more reliable and as other camera tools such as the Freefly Systems MōVI that require wireless video become more widely used. While you will often see a video assist person running around stabbing monitors with SDI connectors and uncoiling sometimes hundreds of feet of BNC cable to get picture back to the video village, you are also likely to see a guy like me hand a Teradek Bolt 2000 receiver to the video assist person, flip the switch on, and immediately deliver a solid image from my camera from hundreds of feet away to the wall of monitors surrounded by people that rely on that picture to get through their day. It’s also one less BNC cable tripping accident waiting to happen. In a perfect world, every camera on set would have a wireless video system that delivered latency-free HD picture to every monitor on the set that needed it; people could tap into the picture wirelessly on their smart phones and tablets; executive producers sitting in their offices across the globe could get the image in real time on their computers. And nothing would ever go wrong with the system. Ever. Unfortunately, this isn’t quite a reality yet, but we’re getting closer all the time. Let me start off by making something perfectly clear – I do not work for, nor am I paid by Teradek for making any claims about their product. 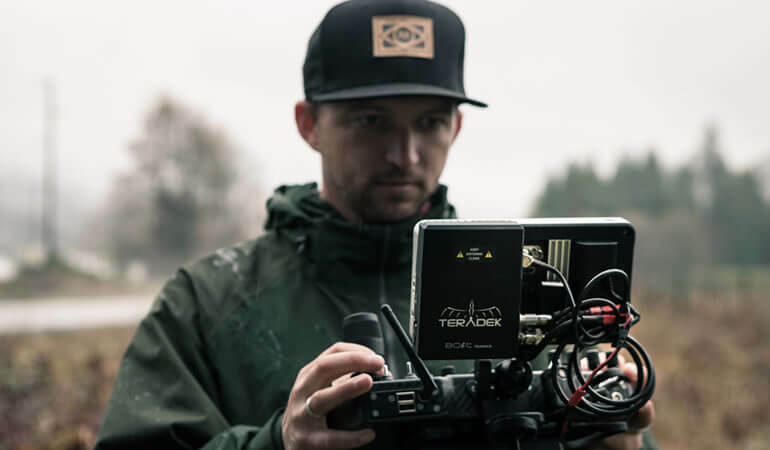 I am a full time camera operator / DP that specializes in using the Freefly Systems MōVI, so I must use a wireless video system in my daily workflow – hardlining the MōVI with a BNC cable is just not an option for me. I have used many different wireless video systems in the past and through my experiences using them, I have found the Teradek system to be the most robust, reliable system out there. Many of these systems do share the same chip set internally, but they all use their own unique interfaces to control these chip sets and the Teradek system seems to work the best for me. Regardless of which system you choose, I believe the workflow will stay the same on set and that is the much more important topic of this article. Before the 1st AD starts barking “one minute till picture”, you want to make sure your wireless video system is set up for success. One of the first things I do when I arrive on set for the day is check the quality of my signal from the video transmitter (tx) to the receiver (rx). I’ll usually talk to the DP and Director about the shots they have in mind for the day to figure out what my greatest distance from the tx to the rx will be and test the signal as soon as possible to see how solid it is. Keep in mind, most of these systems use radio frequency (rf) technology which is typically the same technology a ton of other wireless technologies use, such as walkie talkies, cordless phones (remember those? ), remote controlled systems such as the MōVI controller, etc. This means radio interference can become a real problem, depending on where you’re shooting and how much other radio activity is bouncing around in the air. This is precisely the reason why I choose to use the Teradek Bolt 2000 system which is rated at a range of 2,000 feet, versus a much less expensive version such as the Bolt 300. It’s pretty rare that I actually need 2,000 feet of range, but once you introduce all that radio interference into the mix, your range is significantly compromised. Rf technology also works best at line of sight, meaning if you can’t see the receiver while standing next to the transmitter, you are likely introducing physical interference to the signal, reducing your range even further. A thin plywood set wall may not cause you any problems at all, but a thick, cement or brick wall most definitely will. So figure out all the obstacles you may encounter with your system and test your signal well before it’s time to shoot. This is pretty simple and chances are, you’ve already thought of this, but just in case, I’ll explain it anyways. If your video village must be far away from where the camera is and/or there are many physical obstacles between the tx and rx, simply put your rx on a c-stand, or attach it somewhere out of the way near where you’re shooting and run a BNC cable the long, obstacle-filled distance back to the video village monitors. If you’re lucky, your video assist person will even manage the placement of the rx for you all day long – after all, it sort of is technically their job to manage all things video feeds (but hey, we’re all on the same team). Another great way to increase your chances of getting a solid signal to your receiver is to essentially increase the size of your receiver’s “net” to catch the signal. Think of the tx’s signal as a soccer ball and the receiver as the soccer net. Teradek sells an array antenna that you connect your receiver which makes your “soccer net” bigger which means more “goals” all day long! The array antenna is only a few hundred dollars and well worth every penny. A typical on-location video village, complete with a Teradek Bolt 2000 receiver attached to an Array Antenna for a larger reception “net”. 1:1, 2:1, 4:1… How Many Receivers Do I Really Need? At around $4,000 per additional receiver for the Teradek Bolt 2000 system, you probably won’t want to buy any more receivers than you need to. Also, the more receivers you have floating around on set, the more issues you will have with people losing signal because for example, the director really wants to sit behind that 5 foot solid bank vault door and can’t understand why he keeps losing picture. So I keep my receivers to a minimum and ask video village to provide additional monitors and possibly daisy-chained wireless systems for key people who insist on having their own wireless monitor rigs. That being said, there are always two people that will absolutely need a receiver on set: the video assist person in order to provide a picture for their playback machine and video village, and my 1st AC who will be pulling focus wirelessly for me. Even though hypothetically your 1st AC could split the video signal out of video assist’s receiver, this is often not practical when that rx is far away from where you’re shooting and is probably already split to ten other monitors which means it will take forever to get picture to your 1st AC’s monitor every time video assist moves. So while you can sort of manage to get by with one receiver on set, your 1st AC will suffer a bit. It is very likely your Director will ask for their own wireless monitor rig and while I personally don’t believe it is my responsibility to provide this for them, I do like to accommodate as many people’s needs on set as possible, as a rule. Is it worth $4,000 for another receiver to please the big boss? That’s for you to decide. However, there is one other option that will cut that cost in half – enter the Teradek Sidekick. It sounds like a sales pitch, but that’s actually what the Sidekick does, so at least it’s an honest pitch. For around $2,000 you can connect a Sidekick receiver to any of the Bolt systems quickly and easily. It took me less than five minutes to add a Sidekick to my Bolt 2000 system, despite my skepticism and my allotted one hour of time I thought it would take to set it up. The important thing to note about the Sidekick is that it contains the shorter range 300 foot chipset similar to the Bolt 300 system, so you must manage it accordingly. If your focus puller is always a few feet away from you while they work, they are a perfect candidate for the Sidekick. If they prefer to camp out with a large monitor further away, maybe they get the Bolt 2000 receiver and you can have the Sidekick ready to go on a small monitor rig for your Director. There’s a lot of things you can do with an extra wireless video receiver on set and at $2,000 I consider it a small price to pay for a very convenient option. If you’re a MōVI Operator like me, you’ve got a lot to manage during your shoot. 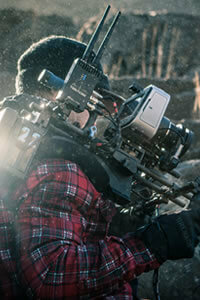 Wireless video, wireless lens control, wireless gimbal controls, balancing and tuning your gimbal, the list goes on. The last thing you want to be worrying about all day long is whether video village is getting a signal from your camera. If you can’t afford to buy a Teradek Bolt 2000 system, consider renting one or perhaps the shorter range Teradek systems will get the job done for you. Just remember that the quality of your service as a camera operator will not only be judged by how great your shots are, but by how easy you are to work with and this means having the right tools for the job every time.